We went to Decathlon (near Uluberia) to buy some trekking materials (www.decathlon.in). Decathlon / Quechua sells world class product (French company) at a reasonable price. During my travel outside India, I have seen that every third traveller is probably using Quechua product. Those who know me, will understand that, it must be very special, otherwise I will not travel 1.5 hours to go to a shop. This is my second visit. After we are done with Decathlon, we decided to go to Gadiara. It will take 1.5 to 2 hours to reach Gadiara from Decathlon. From Gadiara bus depot to Rupnarayan Tourist Lodge , WBTDC guest house (or other guests houses on river front) is 8-10 minutes walk (you can take auto/van). We had our lunch near Uluberia, since it was getting late. 1. If your want to come by car, cross second Hooghly bridge, take Kona expressway and then turn left (do not take the flyover) towards Bombay Road ( NH 16 ) and drive upto Uluberia. Then reach Gadiara via Shyampur . It is possible to go via Bagnan. Do not do that. 2. Regular buses marked "Gadiara" are available from Esplanade Bus depot in Kolkata. every 30 minutes from early morning. I am told in the morning it takes around 2.30 hours. Gadiara is a small town in Howrah District of West Bengal, India. In the 18th century, the British build a fort at this place to guard the entrance by the river against river pirates. However the fort is now in ruins. The river is extremely wide here and the surroundings have a typical village atmosphere. It is possible to do River cruise in launch/country boats. You can take a ferry to go to Geonkhali or Nurpur. 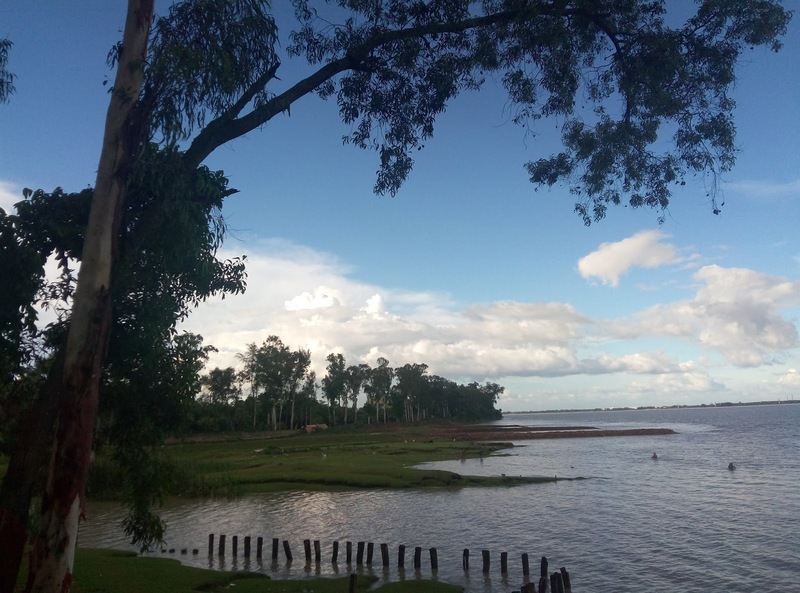 People can also visit Raichak by ferry,which is available till 5-5.30 in the evening. 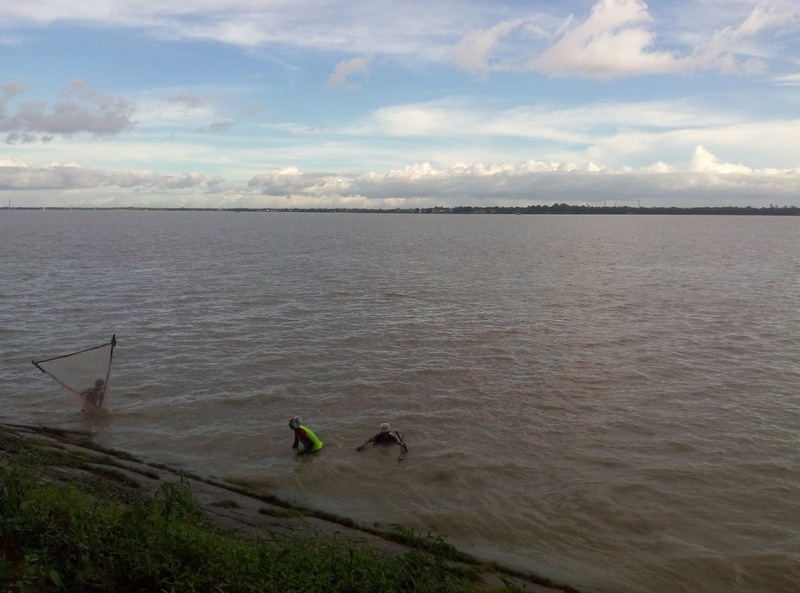 This place is the point of convergence of the Damodar, the Rupnarayan and the Hoogli rivers. You will like walking along the river side. You will find some tea stalls on the way. It is better to stay at Rupnarayan Tourist Lodge owned by WBTDC, Govt of WB. Highly recommendable. The added advantage is the rural setting / houses near the lodge. Good Indian food at reasonable price is available at the bus stand. Foods in Rupnarayan Tourist Lodge (run by WBTDC, Govt. of WB) is also good and is open to general public also. 1. 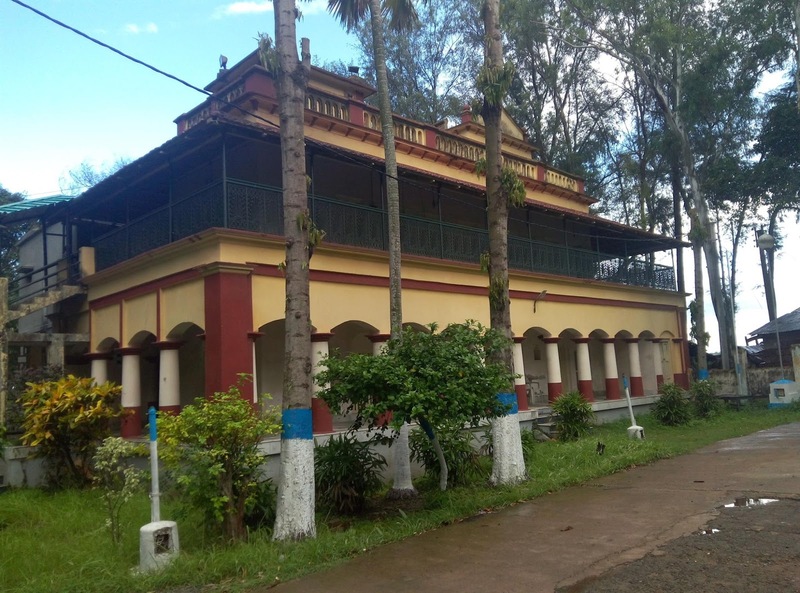 Rupnarayan Tourist Lodge, Gadiara, Phone :(03214)263125. AC and non AC rooms available. Bookings can also be done from WB Govt Tourist Office, 3/2 BBD Bagh (East) Kolkata 700 001 Phone 033 22485917/5168/8271/8272. 2. Hotel Purnima is also in a very good location, river facing like Rupnarayan Tourist Lodge (though not as grand). Reservation from Kolkata Phone 09433585945. Geonkhali, Nurpur, Raichak, Diamond Harbour by ferry. We left around 5.60 pm by our car for Kolkata and reached home by 9.00 pm. Such a great family trip you guys had. life is really short and tries to enjoy the every bit of it. I just loved your post and the pictures are amazing.